Another night of popcorn and dice, another quaint village with a friendly tavern, and another dungeon to map and explore. But looks can be deceiving. Castle Keepers have begun adventures in many a tavern, but not like this. Players have relied upon many a non-player character, but none like those detailed within. To recover a fabled gem at the behest of a village, the Players must overcome their expectations of the familiar trappings of fantasy role-playing. Like the beautiful but deadly Red March in which it is set, twists and surprises make this, The Fantastic Adventure. This module is designed or 4-8 characters with a challenge level of 1-2. Has overland and a small dungeon. 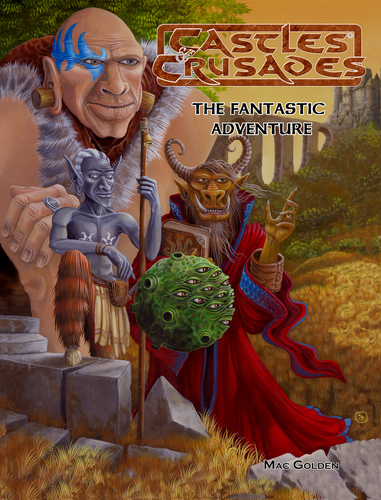 The Fantastic Adventure is compatible with any fantasy world.